Do you know how much time I could free up from my days if specific tasks didn’t have to be repeated daily, weekly, or monthly? Yes, if every task were a “one and done” kind of thing, I’d have time to sit back with a good book without a care in the world. But that’s not the way life works, is it? House chores like laundry, dishes, cooking and cleaning have to be done on a daily (or near daily basis). Grocery shopping and other errands take up at least one day per week. Bills have to be paid each month, and on the flip side of that, the financial reports have to be organized, updated and processed. Barnabas needs a daily walk, and I like to hug and kiss my sweet hubby at least once a day. Oh, and these daily devotions don’t write themselves either. This list doesn’t even include things like regular exercise or quiet time with the Lord. The truth is, my to-do list from one day to the next is often filled with the same tasks plus a few unique ones to spice things up. Let’s face it, life is full of repetition—jobs that have to be completed over and over again. Is it any wonder why we always feel like we’re behind and that we’re seldom getting anything accomplished? Laundry again today? Didn’t I do that yesterday? What do you mean I have to cook more than once a week. . or once a day? Good grief! How awesome would it be to eat once and be forever satisfied? My hips would undoubtedly benefit from the arrangement! How about to drink a single glass of water and never again experience thirst? Physically, it’s impossible. God didn’t create us that way. These earthly bodies require food and water to function correctly. But spiritually speaking, it’s not only possible; I’ve experienced it. I don’t have to wonder what it’s like to know God. I don’t have to imagine what it’s like to be His child. I never have to hunger or thirst for everlasting life because it’s already mine. I gained it the day I believed in Jesus and accepted Him as the Lord of my life. That was over 35 years ago, but it’s as true today as it was then. While I live each day to bring glory to God, I never waste time and energy on renewing my salvation. I serve God because I am saved not so I can be saved. It’s a privilege, not a duty, unlike doing laundry and dishes and paying bills. Are you hungry today? Are you seeking something to give your life meaning? Is there a hunger or thirst in your soul that nothing else can satisfy? If so, I invite you to go to Jesus. He is the answer to everything that’s wrong in your life, and He is the only one who can fill the void and make your life complete. Ah, Black Friday. The day when thousands of people fight with and trample over others to get the latest, greatest deals. I have to wonder whose idea it was to crown the day after Thanksgiving as Black Friday. It’s an oxymoron. We spend Thursday being thankful, then Friday being greedy and discontent. What’s up with that? Please understand, I am not belittling anyone who goes shopping on Black Friday. I used to be among those who woke up early and stood in line waiting for the stores to open. But now, many stores have extended their Black Friday deals to their online stores, so I opt to shop from the comfort of my home. It’s safer that way. It’s not the day or the shopping with which I have a problem. It’s the attitudes. Me first. Get out of my way. He who has the most toys wins. It’s sad and pathetic to see human beings treat one another with such disrespect. And for what? The latest fad? A new computer or phone? Is it worth it? After all, when we leave this earth, we won’t be able to take any of it with us. Would you believe me if I told you this “nothing” was the next one of my list? I couldn’t have chosen a better day than Black Friday to discuss this point. Yes, there are unbelievable deals today. Yes, it’s a great time to do some Christmas shopping. Yes, it can even be a fantastic opportunity to spend time with family. (Some of my fondest memories are Black Friday shopping with my mom and sister. My mom was there to shop. My sister and I were there to see how much we could aggravate my mom, in good fun, of course.) But as you go about the day, keep this in mind: we take nothing with us when we die. It all remains. All of it. No matter how good a deal we received, we can’t take it with us. That being the case, how much is “stuff” really worth? Is it worth working extra hours at the office to afford the bigger television? Is it worth ignoring our family for hours on end playing with that awesome phone? In the end, we don’t even get to keep it. But this particular nothing has an exception. Yes, I know if there is an exception to nothing, it would be something, but hear me out. When the Bible says we can take nothing with us when we die, it’s referring to stuff. Money, houses, toys, and gadgets are all left behind, and who knows what will happen to them when we’re gone? But there is one thing we can take with us to Heaven—another soul. What would happen if we spent less time with our stuff and more time witnessing to others? How would the world change if we put down our phones, turned off our televisions, and used that time telling others about Christ? How would our conversations change if God was the topic instead of the latest and greatest sale? Our lives would make an everlasting difference! No, we can’t take our stuff with us, but we can be reunited with those who made it to Heaven because of our witness. Again, I’m not condemning shopping or having nice things, but I am reminding all of us to make sure we have our priorities straight. This life—with all its stuff—is temporary. Heaven, on the other hand, is eternal. 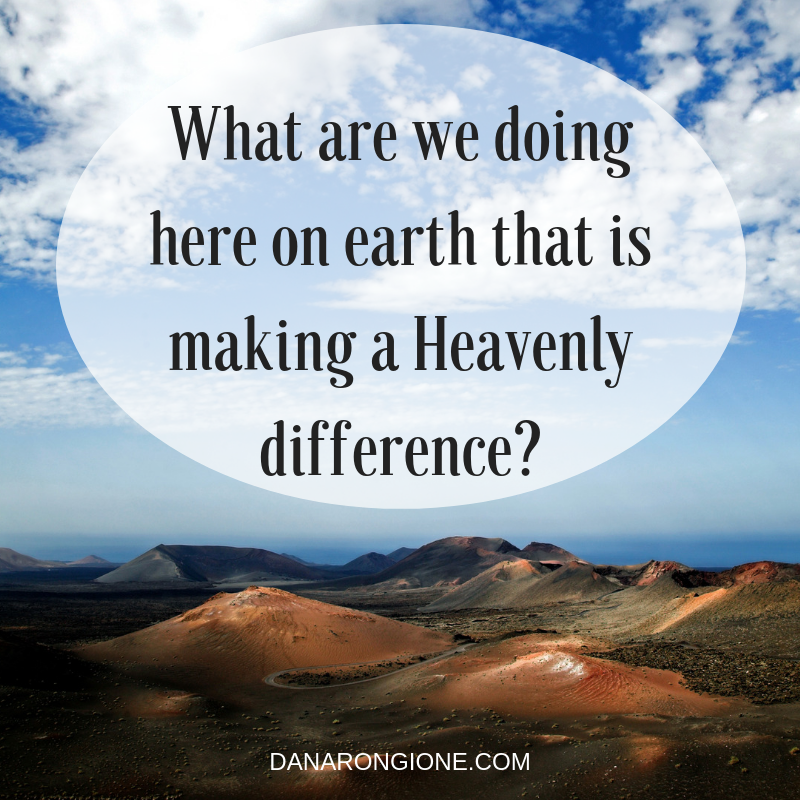 What are we doing here on earth that is making a Heavenly difference? • Everlasting life is without end. • Once one is born again, he cannot then be unborn. • We are saved and kept by faith, not works. • Certain aspects of salvation take place the moment we accept Christ as Lord and cannot be reversed. I pray, by this point, you have a clear idea of what takes place during salvation and now have full assurance that once saved, you will always be saved. But, before we move on to other topics, I want to discuss one more argument some use to disprove eternal security, and that’s the idea that one can be pulled away from God’s grip. In two words, not happening! But, let’s see what the Bible has to say about the matter. I love this passage because it covers nearly all the bases concerning salvation. Notice, Jesus said those who come to Him, He will not cast out. He continues in the next verse by saying of all He has been given, He will lose nothing. And lastly, Jesus confirms salvation’s plan: he who believes will have everlasting life. In this one passage, we see God will not cast us out nor can we slip from His grasp because then He would “lose” us. God cannot take salvation from us; neither can we walk away from it. But, to drive the point home, let’s look at a few more verses. This is another comforting passage because it reminds us no one can pluck us from our Father’s hand. Notice the phrases: eternal life, never perish. And then, not once but twice Jesus declares no one can cause us to become unsaved—not even ourselves. Now, some may argue, “It doesn’t say that. It says no man can pluck me away, but it doesn’t say I can’t walk away if I want to.” Actually, it says exactly that. The phrase “no man” includes the believer himself. No one from outside of God’s grasp is getting in, and no one within God’s grasp is getting out. Why? Because God is greater than all, including the believer. Not only that but He’s also faithful to His promises. According to I John 5:4, whoever believes in Christ for salvation is an overcomer. Therefore, God promises believers will not have their names blotted out of the book of life. What is written there regarding the believer cannot be unwritten. There is a verse in Revelation 22 which speaks of God taking away a part out of the book of life for those who add to and subtract from the Word of God, but to whom is this verse speaking? Would true believers try to change the Word of God? I think not because when we accept Christ as Lord, we are accepting Him as the Living Word; therefore, it would go against our new nature (the Holy Spirit) to alter God’s inspired Word. Additionally, it does not say God will take his name out, but instead, he will take away a part. If a believer were to fall into this category of altering the Scriptures, perhaps the part that is taken away is a portion of his rewards. I cannot be sure, but Revelation 3:5 speaks clearly, and as we discussed at the beginning of this study, we must focus on the clear passages and base our doctrine around those rather than a few scattered verses that are obscure and could mean many things. Did you catch that? God can keep that which we’ve committed to Him. Well, what did we commit to Him? Our lives. Our salvation. When we accepted Christ as Lord, we turned our lives and souls over to Him for safekeeping, and God doesn’t take that lightly. He is able to keep them. If He weren’t, He wouldn’t be God, would He? God is all-powerful and is not willing that any should perish (II Peter 3:9), so let’s put two and two together. God has begun a good work in us, and He has promised to perform it until Christ returns to rule and reign. He won’t give up on us even when we give up on Him. The Bible is clear on this. If you are struggling with your assurance of salvation, I encourage you to go back and study out the verses discussed in this study, and if you’re still uncertain, please contact me. I’d love to help you get it settled. Typically, those who struggle with the issue fall into one of two categories: (1) They’re saved, and Satan is fighting against them and causing them to doubt Christ’s saving power; (2) They once made a profession of faith but never accepted Christ as Lord. I will be the first to tell you that a believer doesn’t always “feel” saved, but if you have never experienced the peace and joy Christ offers, I urge you to check up on yourself. You don’t have to remember what day of the week it was or what time of the day it was when you called on God to save you, but you should be able to see some of the fruit of the Spirit in your life. Again, if you would like help in this area, I encourage you to contact me or someone else you trust in spiritual matters. Let us help you establish your assurance once and for all.